Flavored whiskies have largely been the province of Canadian and American-made whiskies, but Dewar’s has become the first Scotch Whisky producer to dip its toe into the market. 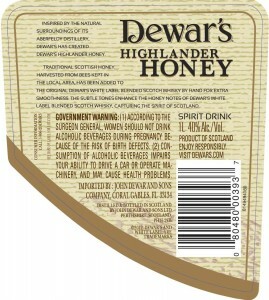 The Bacardi unit is releasing Dewar’s Highlander Honey exclusively in the U.S. market, with the blessing of the Scotch Whisky Association. 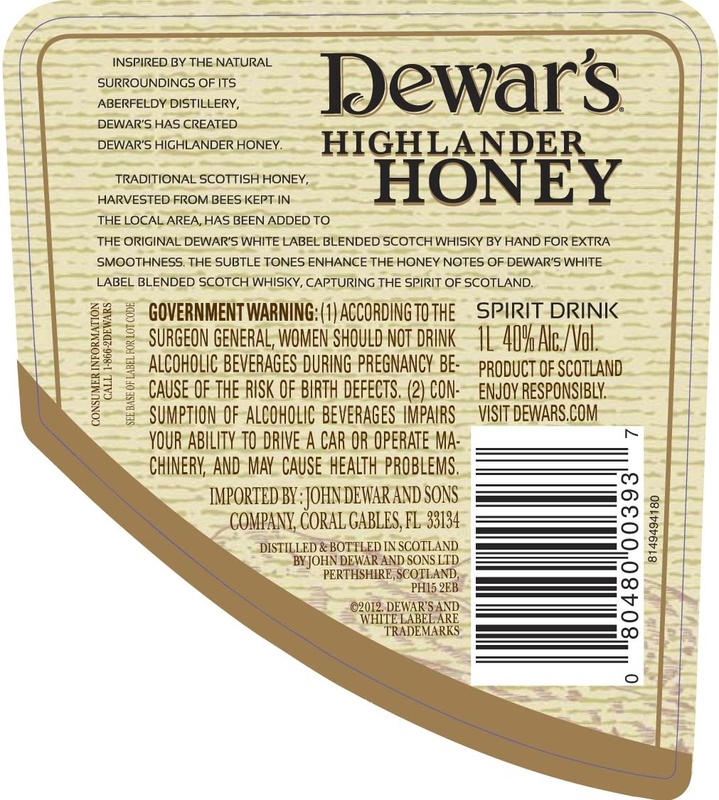 The “spirit drink” combines Dewar’s White Label blended Scotch with honey produced on farms near the Aberfeldy Distillery in Scotland. It is bottled at 40% ABV, and gets around the legal ban on adding flavorings to Scotch Whisky by using the term “spirit drink” on the back label. Officially, Highlander Honey carries the label of a “Whisky Specialty” under U.S. Tax & Trade Bureau regulations, which allows it to contain flavorings. That same designation allows it to comply with Scottish law. It will be available throughout the U.S. starting in April. Does this mean that Compass Box can return to making Spice Tree with toasted inner staves, if they label it as “Spirit Drink”? No, because that issue was over “traditional practices” for maturing Scotch Whisky.